The Barbourville Utility Commission strives to deliver quality Cable TV service at the lowest possible price. In recent years, network providers’ fees have increased significantly. In the last year alone, the price Barbourville Utilities pays to purchase programming (such as ESPN, TNT, USA, Discovery Channel, Comedy Central and others) increased by nearly 6%. That trend continues for programming costs in 2019. As a non-profit utility, we have no choice but to increase our cable rates to offset the additional costs charged to us. The new rates reflect ONLY the increase charged to Barbourville Utilities, nothing more. Due to exorbitant increases totaling more than 200% over three years, Barbourville Utilities will no longer carry WATE-TV Knoxville, but we will continue to provide WBIR 10 Knoxville. Despite these changes, our emphasis remains on our customers. 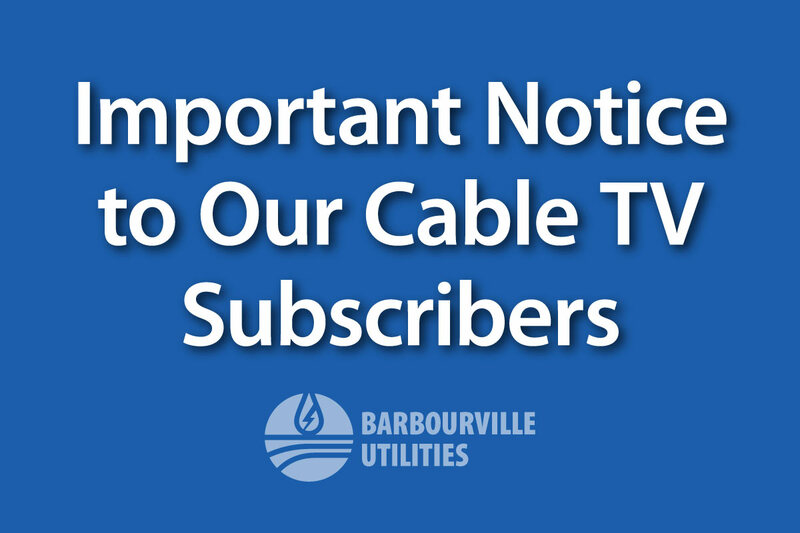 Barbourville Utilities will continue to offer quality programming with local, digital, and high-definition channels. As always, we appreciate your business and look forward to serving you in the future. 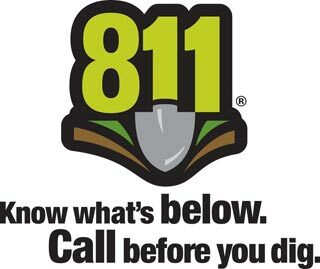 Barbourville Utilities will be doing our annual water main flushing beginning September 9th around 10:00 pm and continuing nightly through September 13th. This flushing will be done at night to cause the least inconvenience for our customers. During flushing water is forced through the water mains at a high speed and discharged through hydrants. The fast-moving water scours and cleans the mains. We leave hydrants open until the water runs clear. Flushing operations may also lead to discolored water, which can be drawn into homes and businesses if the water is being used during or immediately following the flushing. Such events should affect customers for a few hours at most. The discoloration is caused by iron (red color) or manganese (black color) particles being dislodged from the water main which can stain porcelain and laundry. If discoloration occurs, open the cold tap nearest the water meter—usually a basement sink—to full flow until the water runs clear. In some situations, this may take 5 to 10 minutes. It is also advised that you make sure your water is clear before doing laundry or other projects for which discolored water could cause problems. As a precaution, prior to using hot water run cold water tap for a few minutes to ensure discolored water is not drawn into the hot water tank. For questions call (606) 546-3189. Barbourville Utilities was once again recognized as a Gold Seal optimized plant for meeting the optimization standards 100% of the time in 2017. 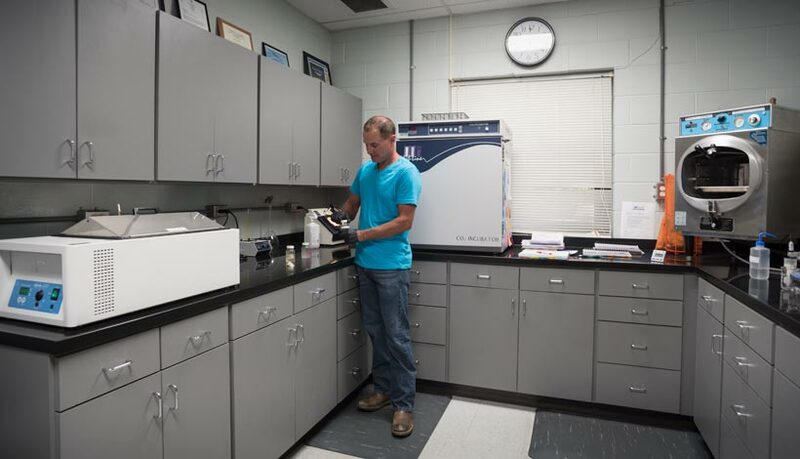 Only 13 other plants in Kentucky earned this recognition from the Area-Wide Optimization Program (AWOP), a multi-state initiative administered through the U.S. Environmental Protection Agency which encourages drinking water systems to voluntarily achieve optimization goals that go beyond regulatory requirements. Kentucky is one of 26 participating states. The other Kentucky utilities to achieve the Gold Seal rating for 2017 include: Bullock Pen Water District, Glasgow Water Company – Plant A, Greenup Water System, Jackson County Water Association, Jamestown Municipal Water Works, Kentucky American Water Co. – Plant B, Laurel County Water District No. 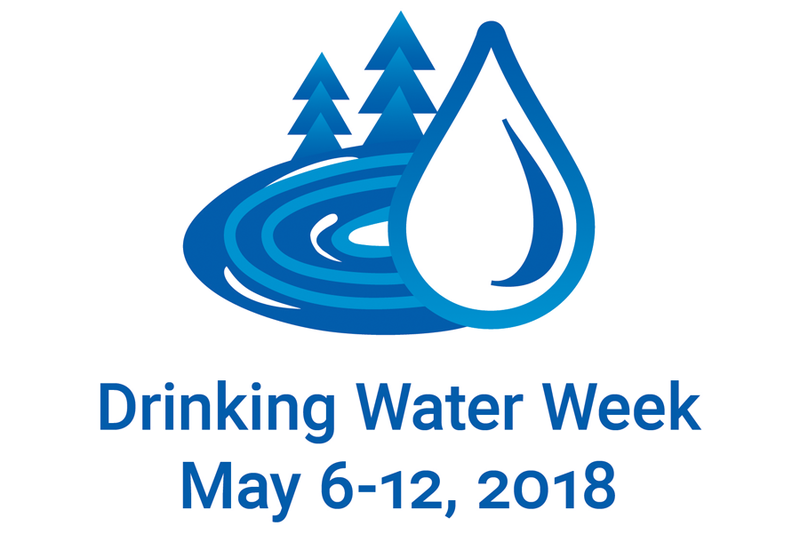 2, Lawrenceburg Water and Sewer Department, Liberty Water Works, Logan Todd Regional Water Commission, McCreary County Water District – Plant B, and Rattlesnake Ridge Water District. This marks the 12th year in a row that Barbourville Utilities has been recognized by AWOP with it’s Gold Seal award. 2. Tap water cost about 1/2 a cent per gallon. 3. No plastic to make or ship. 4. Fresh tap water is better for you and the environment. 5. It’s convenient! Tap water is already in your home so there’s no need to go out and buy it. On the other hand, bottled water is NOT regulated by the EPA, is more than 700 times more expensive than tap water, and plastic bottles are bad for the environment.